The Baltic Sea remains one of the most polluted seas in the world and continuous actions towards improving its environmental status are necessary. 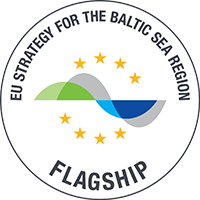 The keynotes and discussions at the EU Strategy for the Baltic Sea Region (EUSBSR) Annual Forum held in Tallinn last week, stressed that good environmental status of the sea has not yet been reached, despite the good progress on many levels of cooperation between the Baltic Sea states. These words echo in line with the updated HELCOM Status of the Baltic Sea report presented at the Forum. With plastics contributing to the pollution of the sea, the problem with marine litter needs to be addressed by the industry as well as politicians, as mentioned by Forum speakers. 25 million tonnes of plastic waste is generated in Europe annually. According to data from the European Commission, only 30% of it is recycled. Estonia is one of the biggest contributors to this number, generating 51 kg of plastic waste a year per person. A significant amount of plastics ends up in the Baltic Sea, most of it consisting of single use plastics. Marine litter received attention in several occasions at the annual Forum. In the opening plenary, plastic marine litter was also brought up by Jüri Ratas, the Prime Minister of Estonia. Mr Ratas pointed out marine litter as one of the main issues for the Baltic Sea, that has not yet been sufficiently addressed. He also highlighted the importance of regional cooperation, something that the EU Interreg projects such as BLASTIC actively contribute to. As an EUSBSR Flagship project, BLASTIC was offered its own seminar slot at the Forum to highlight the issue of marine litter and the work done to tackle the problem. The seminar constituted of presentations from different perspectives and a panel discussion with experts on the topic. ”Every industry which produces plastics has to do all that it takes to reduce the problem. The use of plastics has to be rethought – this is a key issue,” Spek continued. He also highlighted the rapid phase by which plastics have become a part of every corner of our society. Speck went on to stress the importance of better management of plastics, but also brought forward technical solutions to clean water bodies. Harri Moora from SEI Tallinn, who represented BLASTIC, commented that the majority of plastic marine litter originates from land and therefore the local governments play an important role in reducing the amount of plastic waste. “It is very important for coastal local governments to actively tackle the problem of plastic waste. The methodology developed by the BLASTIC project is a great tool for helping local governments to map sources and pathways of plastic litter and to develop marine litter prevention and reduction action plans,“ said Moora . A good example for following these recommendations is the City of Tallinn in Estonia, Moora went on to add. In addition, the seminar focused on policy measures and regulations to tackle marine plastics on an EU level through a presentation by Reka Rozsavolgyi, Policy Officer at DG Maritime Affairs and Fisheries. A Baltic Sea level context was given by Dmitry Frank-Kamenetsky, Field Manager at HELCOM. Ms Rozsavolgyi recognized single use plastics as the main issue to target, but also abandoned fishing gear and microplastics. Both speakers highlighted the powerful commitments already made by different actors to reduce marine plastic inflows. Mr Frank-Kamenetsky specifically pointed out the importance of involving local actors to find solutions and implement the strategies made on a higher level. In addition, the problem of microplastics as an emerging problem was discussed by Mikhail Durkin from the NGO, Coalition Clean Baltic. Mr Durkin also highlighted that for consumers, living “plastic free” today is difficult since plastic is indeed present everywhere and the use of plastic should be drastically reduced. Anna works as project manager at KAT, covering for Hanna Haaksi and having responsibility over all the organizations project work. 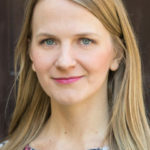 Anna has a background in environmental communication studies at SLU (Swedish University of Agricultural Sciences) in Uppsala and a BA degree in human geography from Stockholm University. 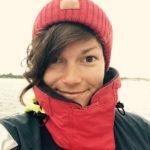 Through her studies and personal engagements she has been pursuing environmental awareness, focusing mainly on Baltic Sea related issues and sustainable governance of the seas. Anna’s working languages ​​are Finnish, Swedish and English. In her free time she likes to sail, travel and move outdoors. Anna describes herself as an archipelago child with great passion to work with environmental issues and promote sustainable exploitation of natural resources.